You might hear a lot about interval training when reading articles on cardiovascular conditioning as well as weight loss. But sometimes people don’t take the time to explain exactly what they mean by the term. That can leave you unsure or possibly misinformed about what it is you are supposed to be doing when they mention those words, ‘interval training’. That is not a problem as we are here to break it down for you and provide an in-depth review of what it is, why you should do it, and how to do it. So, what is interval training? From a definition standpoint, it is simply the idea of combining different levels of training over short periods (intervals) of time. They have been used by lots of people over the years including bodybuilders, athletes, and just regular people looking to improve themselves. The general concept is to alternate between short bursts of very intense work that is faster and then slower paced actions. There are a lot of variations and interval training workouts can be customized for many types of training including for a variety of sports. Some types are very simple while others are more complex. Really it depends on what you are training for as to how you use it. Lately this type of training has been shown to be very effective for people looking to burn and fat and tone up their bodies. Generally speaking, working at a higher or more intense rate is harder on the body. You burn more calories, use up glycogen, and your body consumes maximum oxygen. But it is very difficult to maintain this high level long enough to obtain a benefit from it. So you mix in exercise at a slower pace which allows your body a slight rest while still burning calories. This method allows you to perform both aerobic and anaerobic cycles into each session. The end result is more calories burned over the duration than if you would have performed a flat level of intensity work (somewhere in the middle) for the same amount of time. Additionally you end up burning more calories longer after the workout because of the anaerobic training, which also helps develop lean muscle. HIIT stands for high-intensity interval training. Basically this is like regular interval training but on steroids. The idea is to go to an even higher level of effort over a shorter period of time for maximum gains. There are a few styles of HIIT training such as the Tabata Method or Little Method that are more common as well as uncommon methods. 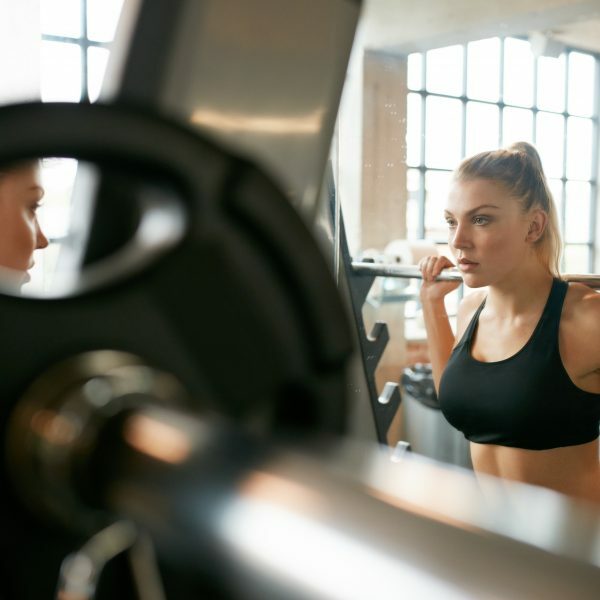 The differences in HIIT methods usually have to do with how close to your VO2 max you get (the maximum amount of oxygen used by your body during the exercise). Generally speaking HIIT programs are for intermediate to advanced athletes who are looking for maximum effectiveness in the least amount of time. It can be very taxing on the body so beginners should not try these methods yet as their natural endurance and recovery abilities are not build up sufficiently. If you are going to be performing cardio to stay in shape or lose weight then it makes sense that you try and do the most efficient workout possible. Interval training is very effective and a much better workout for your body compared to just plodding along at a sedate pace. Plus the ever changing speed keeps you more engaged into what you are doing. For athletes this type of training is especially helpful as you can use it to increase your fitness level. By using intervals it allows you to slowly increase your ability to perform quick bursts of high intensity activity with shorter and shorter rest periods. Basketball players, runners, football players, and all other manner of sports that can require short bursts of maximum effort will find interval training helpful. Again there are lots of ways to do interval training. A lot of it depends on your personal fitness level as well as goals. Ideally for beginning and intermediate level training you should be doing 30 to 50 minutes of exercise. After a brief warm-up of 3 to 5 minutes you will alternate cycles of high and low intensity. Beginners should aim for a 1:1 ratio of high and low intensity until you have a comfort level with what you are doing. After that you can increase the ratios much higher and do 2:1, 3:1, and up to even 5:1 (ratios can be in minutes or 30 second blocks). For intensity you should aim for 80% of your maximum effort (heart rate) on the high point and about 60% on the low (or rest) point. You can vary intensity and difficulty by using speed as well as incline. Many treadmills and elliptical machines already have built-in interval programs which provide a great starting point for people new to interval training.